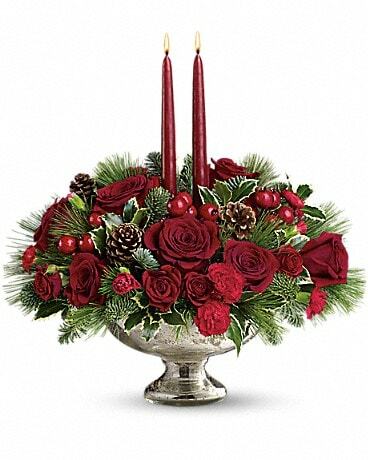 Invited to a holiday gathering? 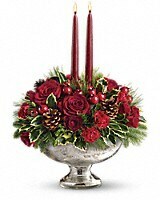 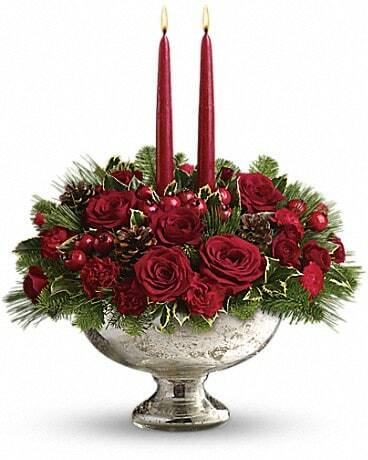 Help set the mood and the table by sending this festive holiday centerpiece a day or two before the event. 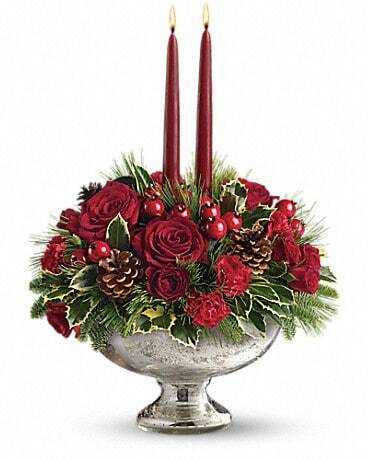 Your hosts will be impressed and incredibly grateful. 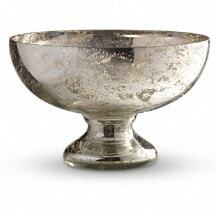 Plus, they'll be able to use the stunning mercury glass bowl for years to come. 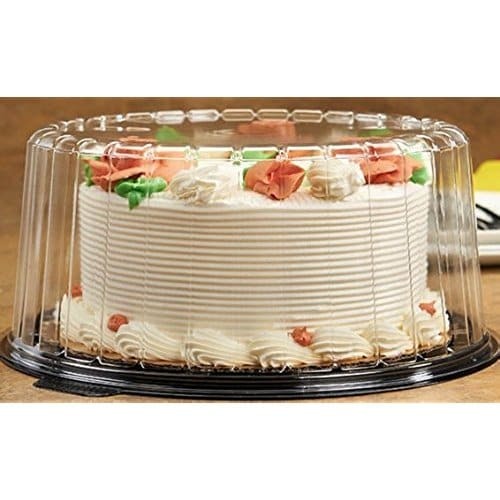 We do not have exact container.